Welcome to this stop on Lee Ann's tour!! Today Lee Ann is talking about fate or life's plan. 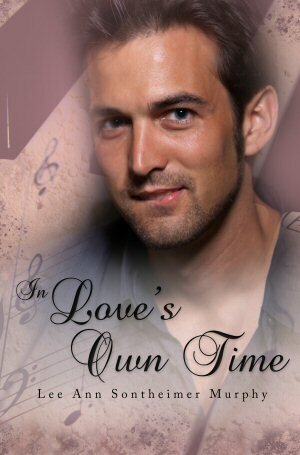 After her guest post I will share with you the book details on her newest release In Love's Own Time. Take it away Lee Ann!! Call it faith, kismet, fate, karma or just luck, I like to believe there’s some plan for our lives. I want to think we’re born with some basic framework, a few skills or talents to equip us for a particular path in life. Whether we choose it ourselves to work toward karma or a deity lays the groundwork isn’t important. An old proverb I happen to like says we must know where we’ve been before we can see where we’re going. I believe the course of our life is very flexible and we can make decisions which change directions and make differences in what might have been. The question of a life plan leads to the often heated debate whether writers are born or made. I’ve watched some wild quarrels erupt on internet sites on the topic and my personal views fall in the middle somewhere. But I believe I was born to become a writer, to tell stories and tales, to use words in a way to touch others. I look back over my life thus far and it seems to me, knowing it better than anyone else, each step of the way was another building block toward a writing career. I may have been born with a flair for words, some gift for writing but I’m also the first to admit I’ve worked hard to hone the skill, to improve the talent. Any musician will confess how much practice is required to master an instrument and to maintain a level of expertise. The same applies to writing. No one and I repeat no one is such an outstanding writer he or she doesn’t need practice, to continue learning, and to face editing. In writing In Love’s Own Time I drew on my own background, growing up in a vintage house in a small city filled with history. My grandparents were my earliest caregivers because both my parents worked and so I spent most of my waking hours in their company until I began school. Their home, although not as old as my own, offered its’ own peek into the past. I listened to their stories and grew up believing the past was almost close enough to touch. It’s no wonder I embraced the idea of time travel or speculated how amazing it would be if it were possible. In Love’s Own Time isn’t my first time travel romance and given my interest in the possibility it could be real I doubt it will be my last. Although I call it my time travel/contemporary/historical/paranormal/fantasy romance, the novel demonstrates a little of what I’ve speculated. There’s a framework to every life and as we build it, we make choices. I’m no carpenter but I know when building a house, changes can be made as it’s constructed which alter the end result. So can our decisions. In my novel, Lillian makes decisions which impact her life and change it forever. With stubborn will and a strong love for Howard, she manages to shift the course of his life as well. Curious? You can always read the novel to get all the details! There may be no place like home and nothing like love…..when history teacher Lillian Dorsey inherits a three story Edwardian brick mansion from the grandfather who banished her pregnant mother decades before, it’s a no brainer. She’ll visit the place, see it and sell it. Instead Lillian’s captivated by the beautiful home and intrigued by the ghost of the original owner, Howard Speakman. Soon she’s flirting with the charming, witty gentleman who’s been dead for more than a century and before long, they admit it’s a mutual attraction. Still, when she’s alive and he’s dead, any shot at being together seems impossible. But where there’s a will, there’s a way….one afternoon while pretending to visit the past the impossible becomes a brief reality. If they visited 1904 before, Lillian knows they can do it again and if so, she can prevent Howard’s untimely death. 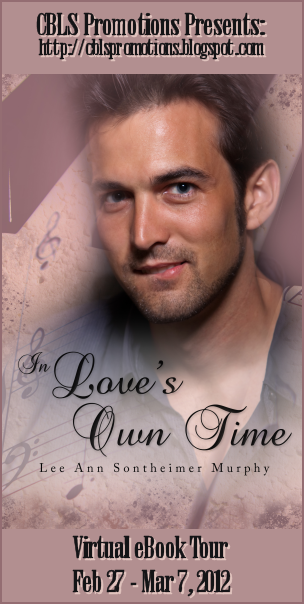 With a combination of love, powerful hope, and stubborn will, Lillian bends time to her will and returns to the summer of 1904. But Howard’s death looms ahead and if she’s to find a happy ending, she must save him from his original death. “Damn!” The aggravation would kill her if the suspense didn’t. Love relationships were hard enough with a flesh and blood partner but Howard’s disappearing act was beyond difficult. There must be some way, she thought, to cross the boundaries of time so she and Howard could be together and Lillian resolved to figure out how. Although she would rather bawl with frustration, she took action. The local library was the only place which might have the materials she sought so she Googled Einstein’s theories on one of the public computers. What she read led to her read about Goedal, the other Princeton scientist she mentioned to Howard and to others, everyone from Stephen Hawking to Igor D. Novikov. A search of simply “time travel” linked to Washington Irving’s legend of Rip Van Winkle, King Arthur’s daughter Gwenth, to Carroll’s Alice, and even to Sleeping Beauty. The mish-mash of information was confusing but as she sorted through it, reading and considering it all, a sense of excitement crept over her. Repeatedly from very diverse sources, she read time travel might be possible, not from crackpots or harebrained pseudo scientists but from people at the top of their field. No one explained how it worked but most acknowledged the possibility. As she surfed the World Wide Web, she jotted down books to read and movies to watch. Dean Koontz wrote a novel about time travel called Lightning and a woman named Diana Gabaldon penned an entire series of novels based on time travel. Movies like Kate and Leopold and Somewhere in Time, the last based on a novel by Richard Matheson, intrigued her. Lost in research, Lillian didn’t realize how long she’d been there until the librarian tapped her shoulder. Head aching with fatigue, mind whirling with information, she gathered up her copious notes and walked out to the parking lot. Her car was alone beneath the vapor lights and although she was weary, Lillian was too restless to go home. Instead, she drove across town and up the business highway to where Howard’s farm once existed. The neat orchards she hoped to find were gone and instead a housing subdivision sprawled over the fertile ground, the foundation of Howard’s fortune. Most of the ranch style homes dated to the late 1950’s or early 1960’s but on the far edges, newer homes ringed the original neighborhood. The railroad track she recalled from her dream and the hills with a few gnarled old apple and peach trees were all remaining of the former fruit farm. The idea brought sadness and Lillian knew Howard’d feel the same. As her headlights swept through the subdivision, she searched for any other signs of Speakman’s Farm but found none so she retreated to Seven Oaks. In the humid summer night, her fatigue felt like a heavy blanket and Lillian was almost too tired to drag herself up the stairs. As she wandered through the dark downstairs rooms, she called his name but Howard didn’t answer. Missing him was an ache and so weary, emotions drained, she lay down across the bed, too tired to even undress and fell asleep. Shadows of the tree branches made lacy silhouettes across the ceiling of the bedroom when she woke, moving shadows dancing with the wind. Although she’d no clue what time of day it might be, Lillian felt too somnolent to rise so she lay, tangled in the bedspread and tried to sort her myriad emotions. Joy at Howard’s declaration of love dimmed when she considered the difficulties of their unique relationship and a strange prickling delight came as she remembered visiting 1904. As the wind rushed through the trees like whispers, she struggled to make sense of time travel, to figure out a way to make it possible on a permanent basis. Details, theories, and thoughts warred until she sat up, limbs protesting the motion after too many hours of deep sleep, with a revelation. They didn’t need the books, she wouldn’t have to know the properties of relativity after all, and there was no set format certain to succeed. It didn’t matter because she’d done it. If they managed once to travel to the past without trying, they could and would by design. With one ear cocked for any sound to indicate Howard’s return, Lillian bathed and dressed, brushing her teeth to rid her mouth of an unpleasant film coating both teeth and gums. She picked up her watch from the dresser and nodded. It was just now noon; she’d not slept away as much of the day as she’d guessed, a good thing since she needed to handle many details. Singing, she floated with elation downstairs to make coffee and a list. Time travel was possible and she’d do it or die. Either way, she’d end up Howard. By the time, he appeared, dapper in a blue and white checked Madras shirt worn over dark brown trousers held up with suspenders striped the same colors as the shirt, she’d scribbled half a notebook full of things to do or buy or look up. Intent on the next item, she didn’t realize he was with her until she felt his spirit caress, light as a breath, across the back of her neck. “What are you plotting, my dear heart?” He asked, sitting down across the kitchen table. 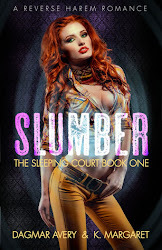 Lee Ann Sontheimer Murphy is a full-time romance author. A native of the old historic city of St. Joseph, Missouri, one time home to both Jesse James and the Pony Express, she now lives and writes in the beautiful Missouri Ozark region. 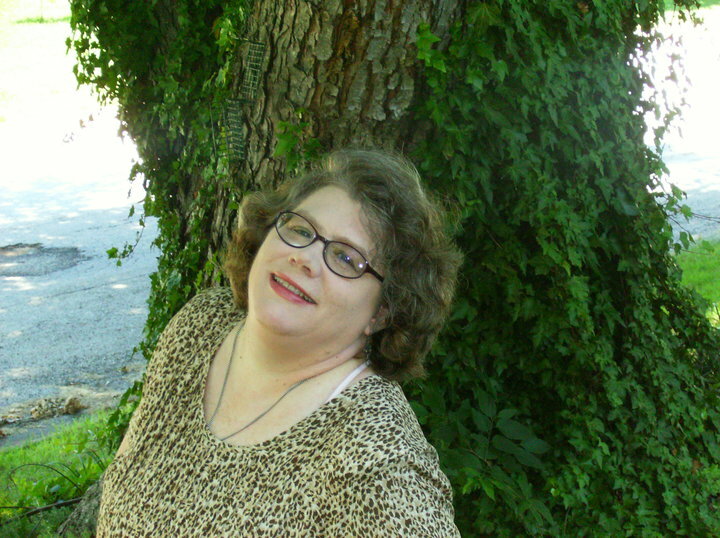 Her romance novels include Wolfe’s Lady (December 2010 Evernight Publishing), Love Tattoo, (March 2011, Evernight), Love Scars (June 2011, Evernight), Love Never Fails (May 2011, Rebel Ink Press), Kinfolk (July 2011, Champagne Books), The Marriage Cure (Astraea Press, July 2011), Love Scars, July 2011 (Evernight Publishing). Love Tattoo, Love Scars, and Love Knots, Love Shadows are the first four books of the six book Love Covenant series. Other novels include Witness Protection Program (Rebel Ink Press, A Time To Love (Champagne Books. Sing We Now of Christmas (Rebel Ink Press, December 2011). 2012 is already kicking off with more novel releases including A Patient Heart, Miss Good Samaritan, Guy’s Angel, In Love’s Own Time, Heart of the Ozarks) In The Shadow of War, and a novella, Long Live The King (Champagne Books). Her work also appears in more than twenty anthologies and she has multiple short story/non-fiction credits. 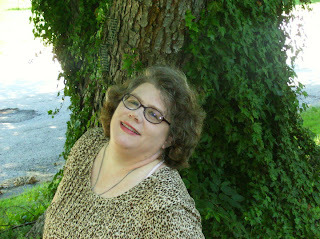 She is a member of RWA, Missouri Writers Guild, EPIC, and the Ozarks Writers League. Her work also appears in multiple anthologies. She earned a BA degree in both English and History from Missouri Southern State University as well as an AA Degree in Journalism from Crowder College. She worked in broadcast media for a decade and also has a background in education. Her weekly column “Hindsight” appears each week in the Neosho Daily News. If you would like to follow the tour, the schedule is posted here: http://cblspromotions.blogspot.com/2012/02/vbt-in-loves-own-time-by-lee-ann.html. A big thank you to Lee Ann for stopping by today!!! Love the idea of a ghost/time travel romance! Sounds like a good read. 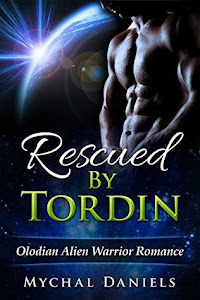 Thanks for sharing post and excerpt.